This is an important time for the Committee for Canterbury, and for Canterbury itself. With changing dynamics amongst NZ’s regions and provinces, the need for a strong, inclusive Canterbury wide voice has never been so important. Please watch the video below that captures the role and the potential for the Committee for Canterbury. If you're in interested in becoming a supporting member for the year ahead, we'd love to hear from you. If you're interested in becoming a member for 2019, fill out the form below, or email Garry now for more information. 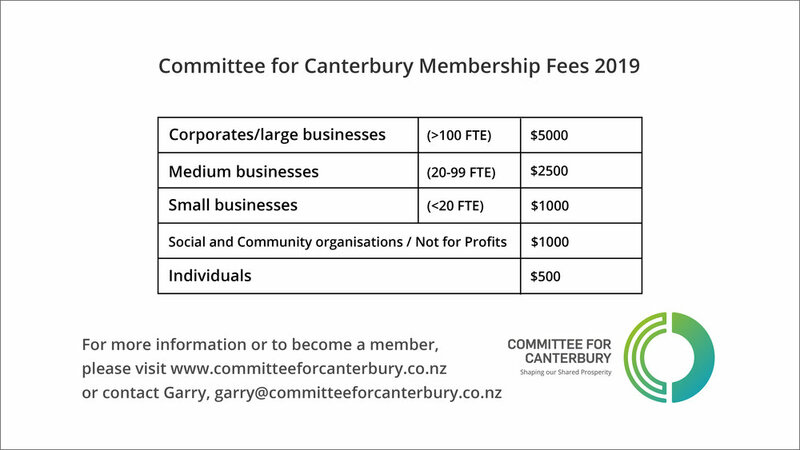 Canterbury needs your support. We look forward to your positive response!